If you would like to help us when you purchase AMAZON PRODUCTS, just click this link and a .05 donation will come to us and not impact your purchase prices. THE DIGITAL AGE MAKES IT EASY TO READ on your computer, Kindle, or iPad. It's inexpensive ($2.99 per book in this case) and saves a few trees. You can even set your device to read the book to you as you close your eyes and relax. (The volumes are also available in print form.) Scroll down a few panels to see a copy of the cover art for all six monastic mystery e-books. Each book is complete yet the characters evolve along with the book plots. Readers say they learn about spirituality, medicine, and journey to far away lands through the books. The press has called this author the "Mystery Monk." Have fun! MONASTIC MYSTERY BOOK LOVERS PLEASE CHECK OUT MY BOOK BLURBS ON AMAZON.COM THEN E-MAIL US FOR DISCOUNTED ORDERING - $10 PER BOOK & P&H: $2.50 FOR 1ST BOOK AND $1 FOR EACH ADDITIONAL BOOK / OR $45 FOR THE ENTIRE SET OF FIVE BOOKS & FREE SHIPPING. Also available in e-book format. A more recent radio interview can be heard by clicking on the "Audio" tab on the upper-right side of this page. Chinese medicine, meditation, and neurotheology captivate me. I use these modalities clinically, along with additional behavioral approaches to health and wellness, in my clinical psychology practice. Clinical Hypnosis and lifestyle assessment, for example, may also be utilized. Advice on Asian medicinal herbs and Western nutraceuticals may be among the exclusively natural and non-invasive options offered. Saliva, urine, stool, and hair testing through certified clinical & research laboratories is available as needed. Medical Qigong and other forms of Eastern / Western Bodywork Therapy are utilized when requested and appropriate. I give workshops throughout the country and abroad when time permits and as invited. Brother Bernard's Chinese name, Cai De Ren (Chinese characters are above under English name), is a goal he strives for. It can loosely be translated as "the Doctor who practices virture, especially compassion toward patients." PHOTO CAPTION: Oriental Medical Doctor Jampa Mackenzie Stewart (Austin TX), Qigong Master Duan Zhi Liang (Beijing China), and Brother Bernard around a campfire at a gathering of the National Qigong Association USA. 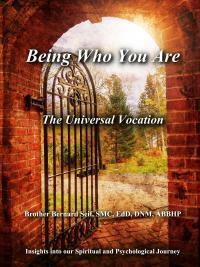 BROTHER / DOCTOR BERNARD SEIF, SMC, EdD, DNM is a Christian monk with monastic vows in the Roman Catholic and Salesian traditions and a Clinical Psychologist (DeSales University, Moravian College-BA, Catholic University of America-MA, Lehigh University-EdD), Board Certified in Behavioral Medicine. He is also a Doctor of Natural (Integrative - not naturopathic) Medicine (based on above degrees plus post-doctoral training at the Institute of Chinese Herbology, National Qigong Association USA, Crayhon Research Seminars, World Academic Society of Medical Qigong, and Hospital rotations in Asia, leading to a DNM from Arkansas College of Natural Health's 4,200 hour state-authorized DNM Bridge Program for licensed health care professionals) specializing in Classical Chinese Medicine. In 1987 Brother Bernard was awarded a post-doctoral diploma, i.e., Board Certification in Behavioral Medicine, from the International Academy of Behavioral Medicine, Counseling, & Psychotherapy. (Please see logo in this section or click here.) 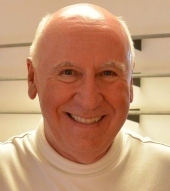 http://www.iabmcp.org He is also Certified in Clinical Hypnosis by the American Society of Clinical Hypnosis. Brother Bernard practices and teaches a healing Asian art known as Medical Qigong, does spiritual direction, and enjoys giving retreats and workshops. He has studied in both the United States and Asia and is well published in scientific and scholarly journals. All of this brings a certain depth and authenticity to his written and clinical work. PS: In case the concept of Behavioral Medicine is new to you, here's a definition from the Society of Behavioral Medicine: "Behavioral Medicine is the interdisciplinary field concerned with the development and integration of behavioral, psychosocial, and biomedical science knowledge and techniques relevant to the understanding of health and illness, and the application of this knowledge and these techniques to prevention, diagnosis, treatment and rehabilitation." Brother Bernard does not do traditional acupuncture. He works with the Chinese concept of Qi using mind-body techniques and sometimes a hand-held device, no needles. ROOTED in over fifty years of Catholic Christian monasticism, I believe that the world would be a more peaceful and less prejudiced place if we understood one another better. To this end, I have spent most of my life exploring Eastern spirituality and medicine. Jesus is my Master, and the 16th Century French saints, Francis de Sales and Jane de Chantal, are my teachers. God and the Sacred are found in the ordinary, be it the daily rhythm of a family unit, the busy workplace, a large monastic community, or a simple hermitage, such as the small Salesian Monastery in which I live out the sacred bond of monastic vows of conversion of life, stability, and obedience. All people are called to holiness and the inner freedom it invites us to, not just clergy and monastics. We find this by being faithful to the duties of our state in life, whatever they may be. I am respectful of all traditions but, due to my busy practice and teaching schedule, try to sort out those people and places where I would be most helpful prior to working with them. Some find my monastic medical mysteries and qigong teaching video helpful on their journeys through life. OFFICE HOURS are Monday through Thursday, 10 a.m., 11 a.m., 1 p.m. 6 p.m. & 7 p.m. There is typically a waiting list of several weeks. Patient / client individual sessions are often reimbursed to some extent by medical insurance. Doctor Seif is a participating provider with Blue Shield, Medicare, Aetna, Cigna, United Behavioral Health, Magellan Behavioral Health, and a number of other health insurance carriers. Workshops and retreats (see below for schedule) are given when invited by various retreat houses, hospitals, and other venues in the United States and abroad. 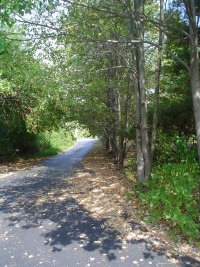 "Qi Days" are held each fall and spring at Arsha Vidya Gurukulam (ashram), Saylorsburg, Pennsylvania. These days are offered as a support for personal practice but are open to beginners and experienced practitioners alike. Many people find them enjoyable, educational, and restful. Saint Benedict, the Father of Western Monasticism, teaches that: "The true monastic is the one who lives by the work of his or her hands." In light of this, the Salesian Monastery is a totally self-supporting, non-profit community. The digital age makes it easy to read on your computer, Kindle, or iPad. It's inexpensive ($2.99 per book in this case) and saves a few trees. You can even set your device to read the book to you as you close your eyes and relax. (The volumes are also available in print form.) On the left is a copy of the cover art for all six monastic mystery e-books. Each book is complete yet the characters evolve along with the book plots. Readers say they learn about spirituality, medicine, and journey to far away lands through the books. The press has called this author the "Mystery Monk." Have fun! This one-hour color DVD / video was produced in response to requests from others for a teaching DVD / video by Brother Bernard aimed at helping people to learn Qigong at home. It includes a brief introduction to the nature of qigong (a 5,000 year old Chinese synthesis of moving, breathing, and meditating). Brother Bernard explains that Qigong can be done in order to maintain health/healing (known as "self cultivation," and the focus of this DVD / video), or it can be practiced by a professional in treating others (medical/healing qigong). A series of warm ups and simple Qigong moves follows. 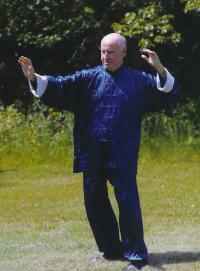 After that the "Five Elements" Form of Qigong is presented in word and movement. Produced in a beautiful outdoor setting, this DVD / video can be used by beginners as well as by those familiar with Qigong. Many of the moves can be done in a seated position (great for wheel chair users). One does not need a great deal of physical stamina to take advantage of the benefits Qigong for the Spirit offers. ORDER BY E-MAIL. CHECK OR MONEY ORDER ONLY. NO CREDIT CARDS PLEASE. 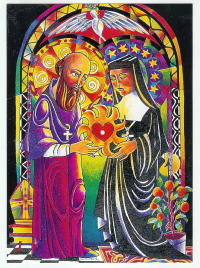 SPIRITUALITY & DEVOTION FOR ALL - a talk by Brother Bernard - Thursday, May 2, 2019 - 7 to 9:30 p.m.
"Introduction to the Devout Life" was written by St Francis de Sales in 1609. It is a synthesis of letters and notes on the practice of living a spiritual life with spiritual direction as a major component. We will explore Salesian Spirituality and how it applies today and to our current walk in life. Location: St Francis Center for Renewal stfrancisctr.org 395 Bridle Path Rd., Bethlehem, Pa Open to all those with an interest in spiritual growth. We are offering this as a free program, however in appreciation for the presenter and the Center’s hospitality a "Love Offering" - $15. (more or less) can be made the day of the event. Please do not let this suggestion stop you from attending. (Sponsored by Spiritual Directors of the Greater Lehigh Valley). QI TALK A interview w/Brother Bernard sponsored by the National Qigong Association. Thursday 5-10-18 - 8:30 to 9:30 p.m. Call in live or sign up for the recording. Click on blue box that says "HD Conferencing"
Click on "Dial in via our VoIP Dialer"
TEDx TALK RECORDING by Brother Bernard. Lehigh University, Packard Laboratory, Room 101, 19 Memorial Drive West, Bethlehem PA 18015. Wednesday 11-30-2016. 5 to 7 pm. Event is free but tickets are required. Check back here for more information about tickets or the Lehigh University website. COUNSELING & TREATING PEOPLE OF COLOUR, San Juan, Puerto Rico, 12-7 to 12-10, 2013. Please visit Stony Brook Universityhttp://www.stonybrook.edu and then search for the program title on that site. SILENT PRAYER, Queen of Peace Church, Brodheadsville PA, Wed. 11-20-13, 7:30 pm - 9 pm. Brief talk and discussion about silence and silent prayer. QUEEN OF PEACE CHURCH, Brodheadsville PA, Tuesday 5-7-13. During this talk Brother Bernard will share he experiences in China based on his yearly trips there. 7:30 p.m. in the Chapel. No charge. NB: Brother Bernard is both a National Qigong Association Certified Level IV Qigong Teacher (Sifu) & an NQA Certified Advanced Clinical Therapist. 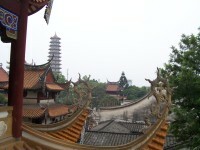 His qigong workshops and retreats, therefore, are accredited for those seeking NQA certification. 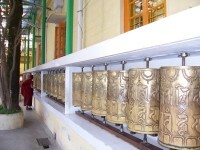 PHOTO CAPTION: Prayer wheels, Dalai Lama's temple, Dharmsala, India.